Rally and Art Installation calling for a Moratorium on Medicinal Cannabis Patients and their supporters until the Laws are altered. 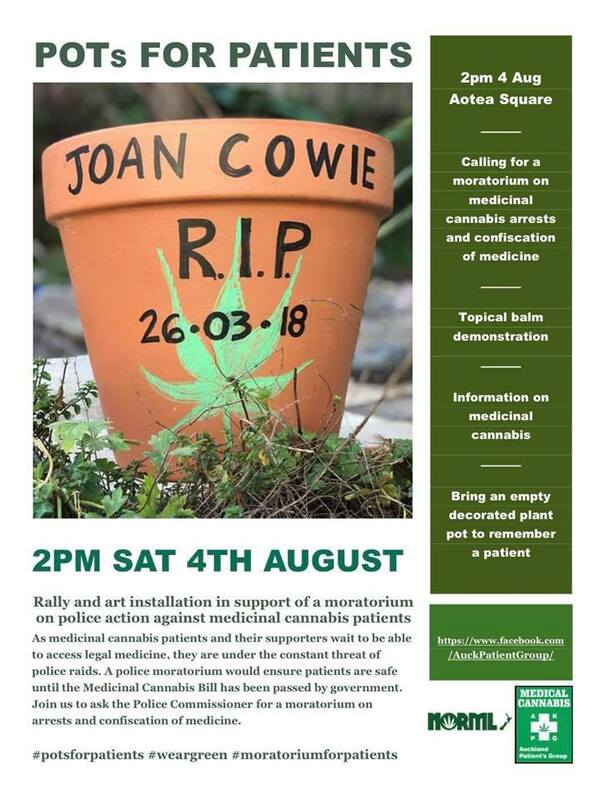 Decorate your terracotta pots commemorating patients denied safe access to affordable botanical cannabis and bring them to Aotea Square placing them on the grass amongst the others. Enjoy balm demonstrations, gentle reggae tunes and inspirational speakers. 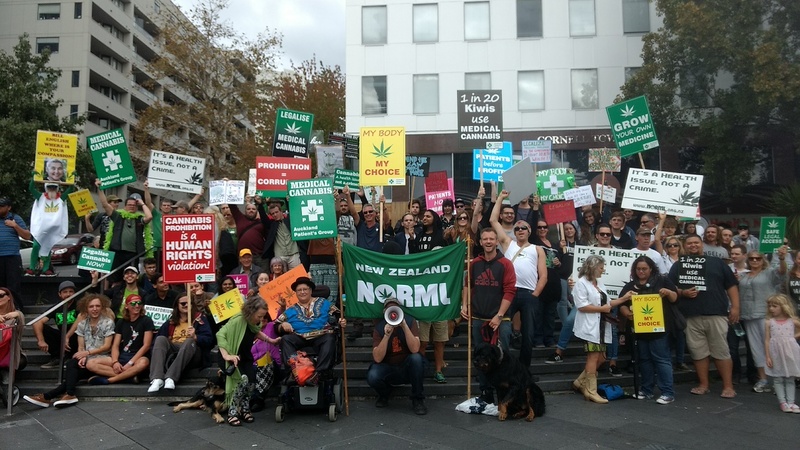 Another collaborative action between Auckland Patients Group and NORML NZ. The Medical Cannabis Art Installation and Rally is Saturday 4th August at 2pm, Aotea Square (Queen St), Auckland. 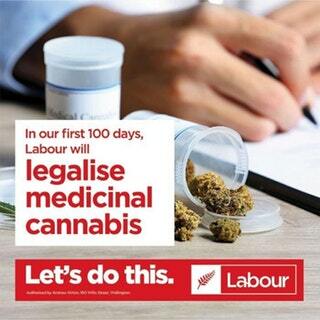 Medicinal cannabis users and allies are today announcing an art installation and rally in Aotea Square this coming Saturday at 2pm, demanding a moratorium on arrests of medicinal cannabis patients while they wait for politicians to work together on a medicinal cannabis legislation. The Medical Cannabis Art Installation and Rally is Saturday 4th August at 2pm in Aotea Square (Queen St) Auckland.